In New Hampshire, like in most other states, there are two sources of license suspension you will need to contend with when arrested for DWI. 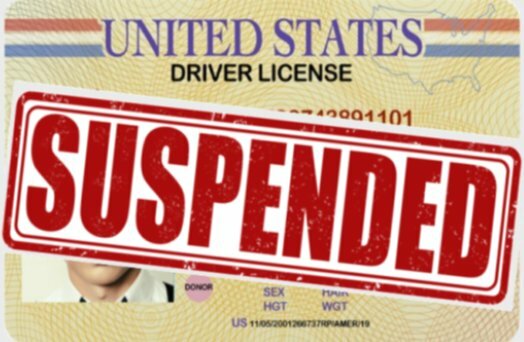 There is a mandatory Court suspension you receive if convicted but there is also a suspension you will receive from the DMV called an administrative license suspension. If you refuse to blow into the breathalyzer your DMV suspension will run consecutively (back to back) with the Court suspension. If you blow into the breathalyzer and register a .08 or higher, your suspension will run concurrently (overlap) to your Court suspension. When are arrested for DWI you will be given two pieces of paper by the police. The first paper will be a yellow copy of your bail conditions. The second paper is pink and is called an Administrative License Suspension (ALS) form or DSM 426 form. As the police will have taken your license (if you hold a New Hampshire driver’s license), this form serves as your temporary driver’s license for the next 30 days. Once those 30 days are up, your license is considered suspended by the NH Department of Motor Vehicles. On the back of the pink ALS form, you are informed that you have a right to request a hearing within 30 days. The purpose of that hearing is to contest the DMV’s suspension of your license. It is critically important to contact the Bureau of hearings at the DMV and request a hearing challenging the suspension. If you don’t, the suspension will go into affect unchallenged. Administrative hearings take place at the DMV Bureau of Hearings in Concord. The hearing resembles a hearing you might see in Court in that, you, your attorney, and the police officer who arrested you appear and testify under oath. The hearing is recorded and presided over by a Hearings Examiner. The Hearings Examiner provides the same function as a judge and decides whether the Police have met their burden of proof to uphold your license suspension..
Should I Testify At The Hearing? Of course, each individual being accused of DWI has the right to testify on his or her behalf. Still, it is not always an easy decision. Whatever you say will be recorded and you will be under oath. 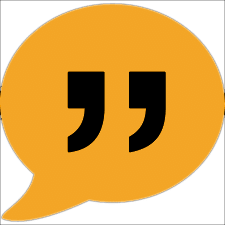 If you were to later testify in defense of the criminal DWI charges, a transcript of the testimony can be obtained and used against you at trial should you testify differently there. Whether or not to testify is a strategic decision that needs to be made on a case by case basis. Sometimes, after our lawyers cross-examine the police officer, the State’s case is so obviously weak, that your testifying is not necessary. Our lawyers are experienced in making these decisions and, ultimately, we can guide you in making the right decision in your case. The importance of requesting this hearing cannot be overstated. Giving an experienced lawyer two opportunities to cross-examine the police officer under oath is a significant advantage. As mentioned above, a transcript of that hearing can be obtained and used to cross-examine the officer at trial. Exposing the flaws in the State’s case becomes much easier when he has already testified under oath incorrectly. 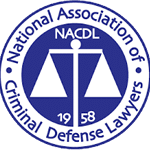 Also, sometimes, the State will agree to withdraw the administrative hearing in exchange for your plea of guilty to the DWI or to a lesser charge like reckless driving. If you fail to preserve your right to challenge the suspension by requesting a hearing, you could be missing out on this option. At the DWI Defense Legal Group, we conduct administrative license suspension hearings routinely. 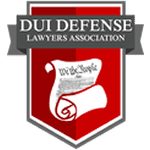 Call us today and we can explain the intricacies of this process and help you decide whether we are the right firm to help you with your DWI charge. Call us today at 603-669-1738.